Slow cookers aren’t technological marvels; they consist of basically just a heating element and a stoneware cooking vessel. That being said, the food that they are capable of producing can most definitely marvel. It should come as little surprise that hearty slow-cooked meals are such winter favorites; just pop some ingredients into the countertop appliance, turn it on, and let it cook. 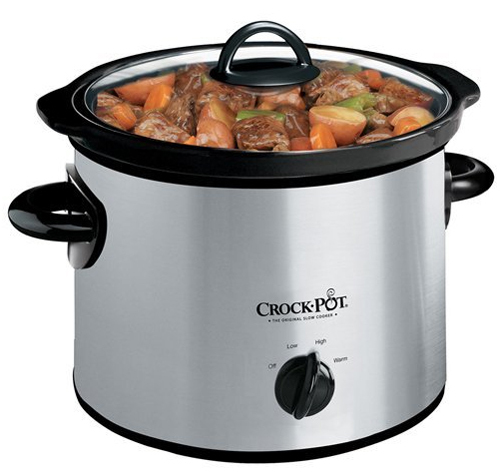 Best of all, with a no-nonsense appliance comes a no-nonsense price: For less than $15, right now you can pick up the Crock-Pot SCR300SS 3-Quart Round Manual Stainless Steel Slow Cooker .